Well, here we are together again for the first time in about three years. 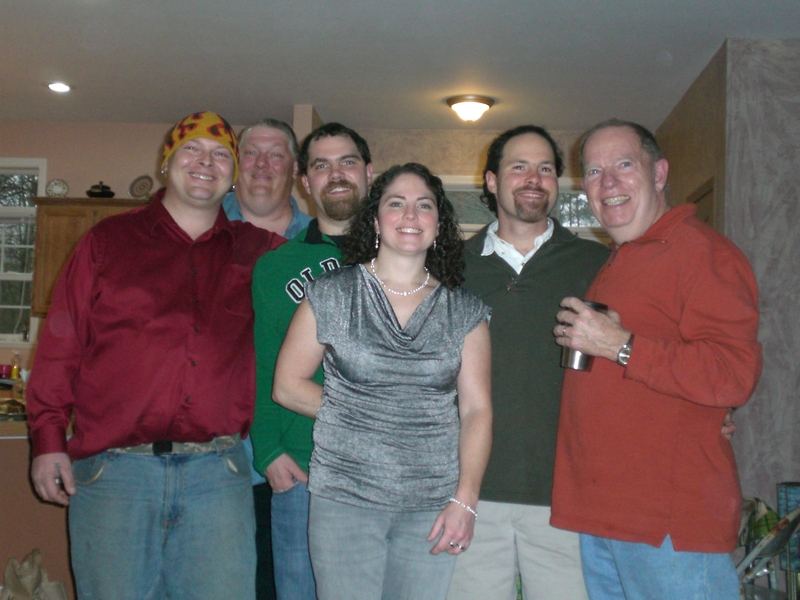 All the way to the left in the red shirt is my brother Bill. Then in back is my brother Jay. Then there is my brother Dave. Down in front is my sister Dawn. Then there is me, Darrin. Then all the way to the right is our father, my dad. Looking good everybody! Orange, you’ve been holding back on us…you didn’t tell us you had a twin brother named Dave… Hope you had a great Thanksgiving! A couple of nieces (Jay’s girls) that hadn’t seen Dave and I in awhile kept getting us mixed up. There is definitely a resemblance. Growing up my dad had a fire red beard. It’s gray now, but Dave and I both inherited the reddish beard in spite of having dark brown (or black) hair on top.